Given it takes just over nine hours to drive the 600 kilometres from Copenhagen (Denmark) to Oslo (Norway), I was curious to know how a 17 hour daily cruise between the 2 cities survives. So, in the name of research, and making the most of an unexpected 4-day weekend we took advantage of some super cheap cruise tickets, packed our overnight bag and set sail for Norway last Thursday. The cruise leaves Copenhagen at 4.30pm, arriving in Oslo at 9.45am the following day with the cruise company, DFDS, doing a very good job at making the cruise as much of an attraction as the destination. In times gone by it’s been known as the party boat (and still is I suspect to some) with people boarding in Copenhagen, partying all night then disembarking in Oslo to stumble around for about 6 hours before returning to the same boat back to Copenhagen. However, BBB voted against this sort of shenanigans, so we stuck firmly to the family tour experience. And apart from some middle-aged ladies pre-loading to the very reasonable hour of 8pm in the cabin next to ours, we didn’t see any partying. There are family packages, romantic packages, ski packages, rock packages, opera packages, New Years Eve packages all on offer. Although all on the same boat mind you. But regardless of what package you choose, the biggest travel hack here is to sign up to DFDS’s enewsletter which ensures you’ll be one of the first to know about their frequent ridiculously cheap specials like the one we booked which had 75% off the normal price. Before we boarded in Copenhagen we told BBB we were off to see Oslo. For the next 18 hours she continued to ask where Oslo was approximately twice every hour. In-between asking where Oslo was she was happily distracted with tea parties in our cabin, Postman Pat and Pirates who turned balloons into poodles. I suspect however had you booked the romantic package your experience may not have included the pirate. Or maybe it did? One does not wish to be presumptuous about Scandi relations. With several restaurants and bars on board you can easily find one to suit your tastes. We sensibly opted for the buffet option which nailed everything apart from a logical layout. So like a chicken with my head cut off I circled each station at least twice before finding where the plates where and deciding how I was going to approach the various buffet stations only to be steam rolled and given the stink eye by what seemed like everyone else who decided they’d approach the same buffet table in the opposite direction to me. Never the less, like a salmon swimming upstream, I found an impressive selection of very good food. And of particular merit was the waitress who without missing a beat picked up a spare Tampax which surprisingly jumped out of my jean pocket as I was crossing the buffet floor. Bridget Jones moment #402 now achieved. Top honour however goes to the staff on the previous night who allowed us to bend the rules (which typically doesn’t happen that often in Denmark) and allowed us to eat in our cabin due to BBB feeling a little poorly. After arriving in a wet Oslo we made the short walk to our hotel for our one night stay, during which BBB asked again ‘Where’s Oslo?’. Poor kid. I think she thought ‘Oslo’ was a dog or other such exciting animal. 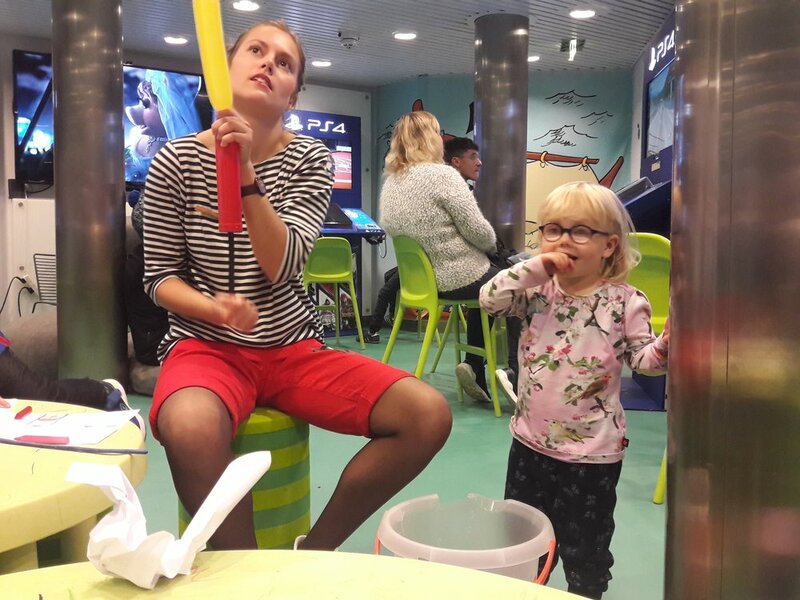 To make up for this disappointment we set about finding the Norwegian Science and Technology Museum which as promised, was full of all sorts of interactive activities for children of all ages. This largely kept us all entertained until BBB tried to run the wrong way down the 20m sprint track. All captured on slow motion replay TV as she collided with another little person. Not even a biscuit could stop those tears, so we decided to keep moving and head back to the city and regroup so we could continue exploring the next morning. Making the most of the free breakfast at our hotel, we then took a 30-minute trip on the local train winding up the hills lead us to the Oslo Ski Jump. Which made my nose bleed simply looking at it. Then with a quirk whirl around the new (ish) opera house on the water we made our way back to the ship for the return journey to Copenhagen. Disappointed perhaps that apart from a few glimpses out the window at some of the Norwegian fjords, our time in Norway didn’t include anymore time to venture further into the stunning scenery. I loved seeing the hills around Oslo. And while it wasn’t quite my hometown of Wellington (a city built on hills), it did give me a small sense of home, and reminded me of what I rarely see on a daily basis living in Denmark. All of which only means, that I guess we’ll have to go back. 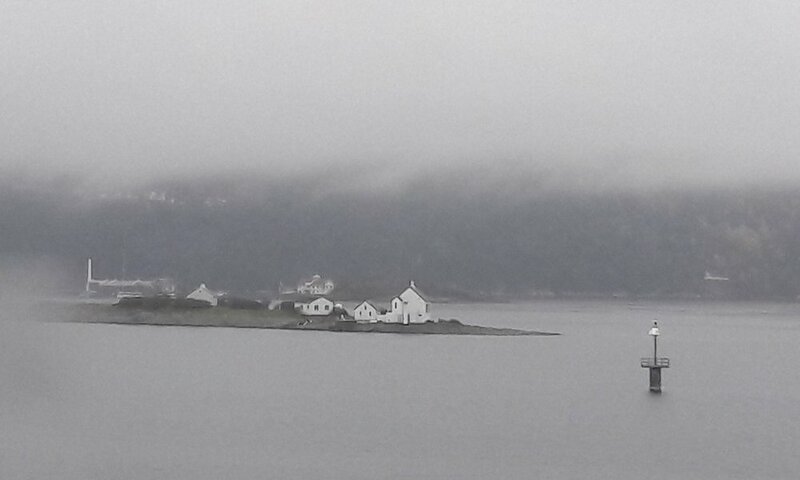 A glimpse of some of the life within the Norwegian Fjords from our cabin window. 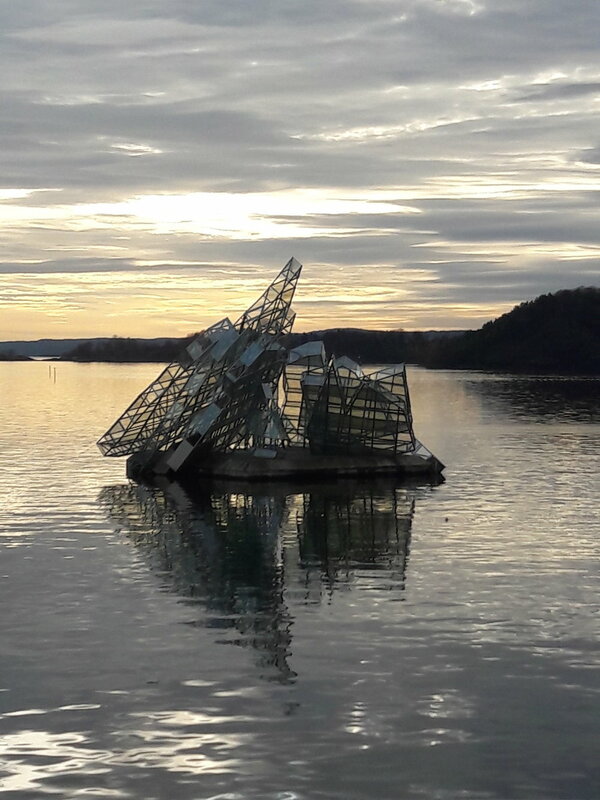 p.s special mention also to the team at Visit Oslo who were super helpful via Social Media as well as in person with tips and tricks of how best to explore Oslo.